The temperatures hit 80 today in southeastern Pennsylvania. Barkley stood at the door this afternoon and barked and barked and barked. What’s going on? I went to the door and saw this bird sitting in the grass by the side of the pond. Is she nesting? Five minutes later she flew away. 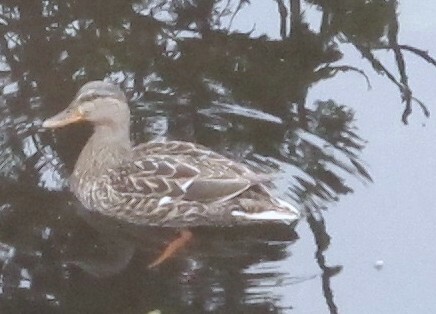 A few days ago this duck turned up on the pond. The picture isn’t great because it’s taken through a door. 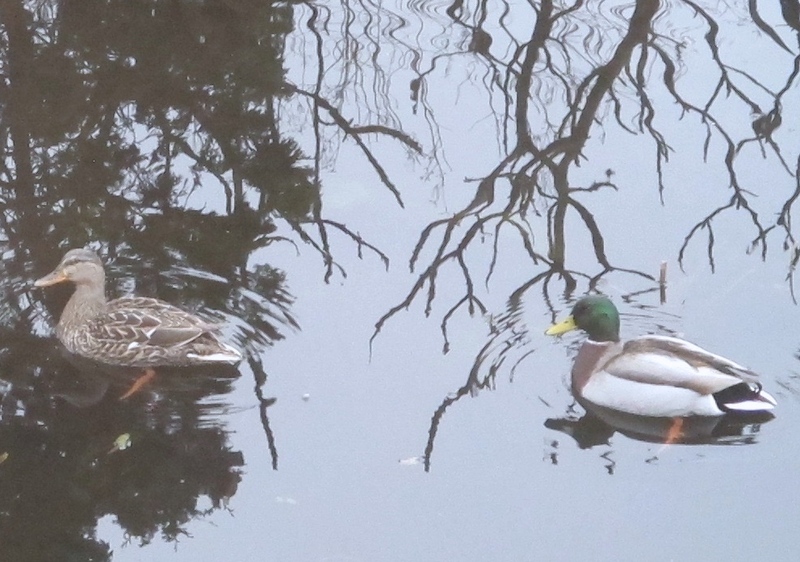 A second duck was hanging out with the first. They arrived together, swam together, and flew off together. Not knowing much about ducks, I’m assuming that they are a mating couple. If they are anything like other birds, the colorful one is the male and the duller one the female. Here they are together. If we are very patient we may see some baby ducks in the future. Thanks. We were surprised to see them on our pond. 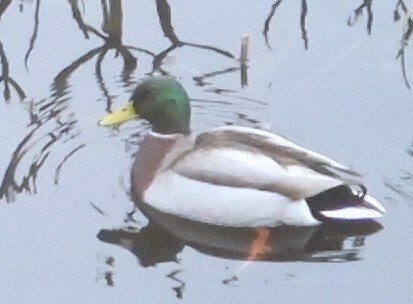 The male duck came back yesterday and woke us up with his quacking, probably calling his mate.